How much fun!! 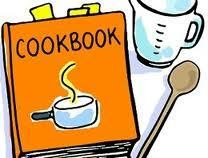 Recipes are being collected for the 2012 Stop the Thyroid Madness Gluten-free cookbook! And you can play a role in making this a VERY good cookbook! HOW TO CONTRIBUTE: You can contribute one recipe, or more. Just read the IMPORTANT message below, then fill out the form for each recipe you contribute. Your name and location will be attached to each recipe you create! WILL I GET A DISCOUNT OFF THE COOKBOOK? If you contribute a MINIMUM of five good recipes from five different categories, you’ll get 20% off your first order of the cookbook (or cookbooks)!! After that, you’ll pay the normal price, so order accordingly the first time! But don’t let those five stop you. The more, the merrier! WHY WILL THIS COOKBOOK BE SPECIAL? Because all of YOUR favorite recipes will be right there, and you won’t have to sort through several cookbooks/note cards/papers to find them. And you’ll know that OTHERS favorite recipes will be in there, too. What a great collection! IMPORTANT: if you submit a recipe straight from another book or cookbook, you will need to change the instructions a little. In other words though ingredient lists are NOT copyrighted, instructions are!! Somehow, turn the instructions into your OWN, such as saying “Heat to 325 degrees for 25 minutes” instead of thirty. Or, stir by hand five minutes instea of “stir”. Or, add 1 1/2 tps vanilla instead of one. Re-arrange a little as well!! MAKE IT YOUR OWN RECIPE. USE THE DROP DOWN ARROW FOR CATEGORIES!